Matchroom Multi Sport can announce a further two tournaments to be added to the roster of events that comprise the Team Europe ranking calendar for the 2018 partypoker Mosconi Cup. Once again GB9 will be hosting the UK Open as a Mosconi Cup ranking event for the third consecutive year. The venue is the Park Inn Hotel, Telford from 7-9 September 2018. The entry fee is £150 with a total prize-fund of (approx. €175) with a prize fund of £10,000. For the first time, a World Series tournament will be included in the Mosconi Cup mix as Darren Appleton brings the 8 Ball Classic Championship to Bucharest, Romania from August 7 – 10 at the IDM Club. €10,000 will be added to the prize pool with a €350 entry fee of which €50 will go towards the administration costs and green fees, and €50 to the Grand Final. Email info@worldpoolseries.com for the payment details for registration. 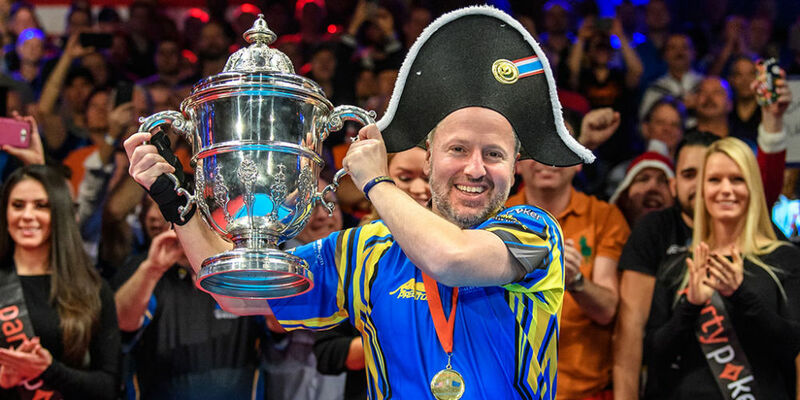 2018 Mosconi Cup is sponsored by partypoker. Rasson Billiards supply the Official Table; the cloth is supplied by Iwan Simonis and the Official Balls are Super Aramith by Saluc. Predator is the Official Cue of the event and Ultimate Team Gear provide all Mosconi Cup apparel.